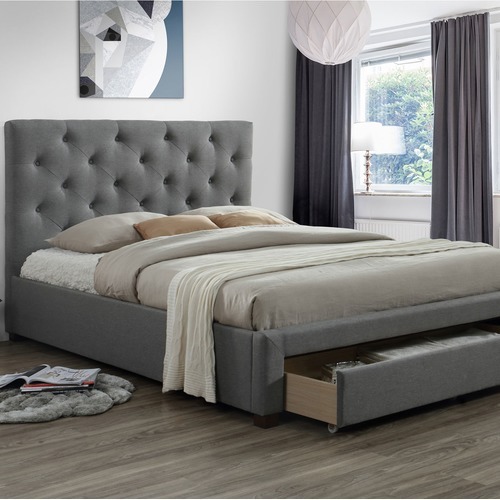 Both stylish and practical, this grey bed frame is a luxurious addition to your bedroom. It features a lightly padded headboard with classic button tufting, and a single drawer that pulls out from the end for a convenient storage solution - it's perfect for your spare bed sheets. 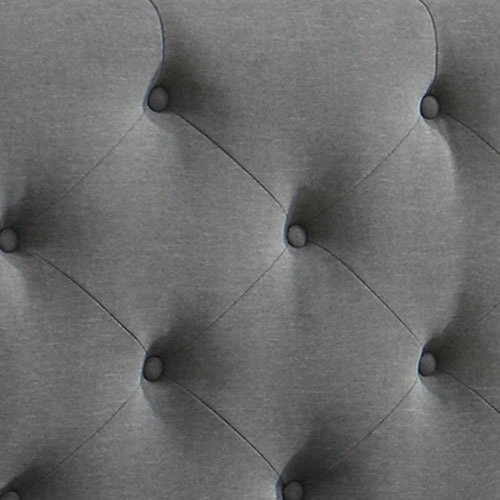 The quality bed is upholstered in woven fabric for a luxurious finish. The 5 zoned pocket springs provide proper support during the night, plus it has a pillow top layer and a latex support layer for your comfort. Complete the look with your favourite bedding, throws and cushions for an inviting set-up. 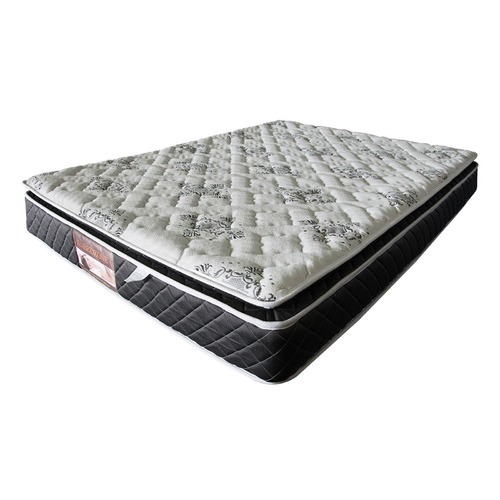 High quality knitted fabric, pillow-top layer, Latex support layer, high density foam, 5 zoned pocket springs provide proper support during the night. The springs work independently and follow the natural contours of your body. It also helps with movement absorption, which will reduce the disturbance of your partner. 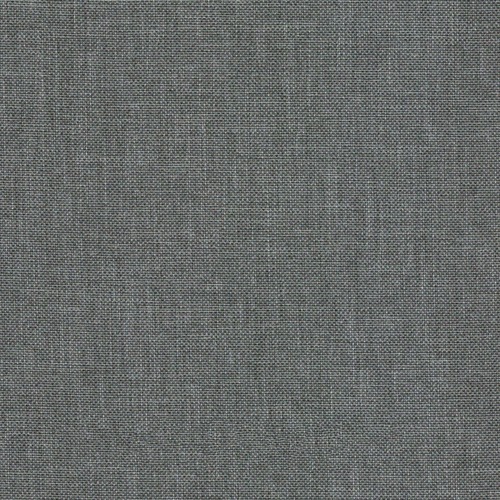 Medium-firm mattress (6 out of 10 firmness). The mattress is packed using high tech vacuum packaging in a box. It's easy to unpack and it will expand in minutes after unpacking, and will restore to its original shape within couple of days. 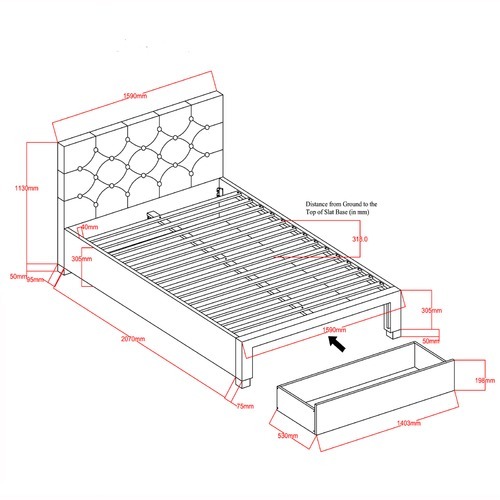 The Kingston Queen Bed & Mattress is a Contemporary or Country style product. Contemporary style bridges the gap between traditional and modern. Pieces feature simple and clean lines with smooth surfaces without any carving or adornment. You can shop for more Contemporary or Country Beds in the Furniture section of our site. When you buy a Kingston Queen Bed & Mattress online from Temple & Webster in Australia, we make it as easy as possible for you to find out when your product will be delivered to your home in Melbourne, Sydney or any major city. You can check on a delivery estimate for the VIC Furniture Part #: KFCF8934LGBA9801QL here. If you have any questions about your purchase or any other Beds product for sale our customer service representatives are available to help.Whether you just want to buy a Kingston Queen Bed & Mattress or shop for your entire home, Temple & Webster has a zillion things home. GREAT BED!! was nervous about the mattress but it's divine! So happy I bought this bed. It's beautiful, luxurious and the mattress is wonderfully comfy :) LOVE IT! and GREAT Value! Disappointed that it came with no proper instructions. You need to have someone with a power drill. The mattress does not fit the base properly. It is comfortable but I would not recommend it. It is always hard to purchase furniture online as you are never sure if it really is going to be as good as the photo. But I was pleasantly surprised by the bed frame and even more surprised as how comfy the mattress really is. Great value for money.